Saint Nicolai medieval church ruin in Visby town on the island of Gotland. View from the south-west. In the background Visby city wall. 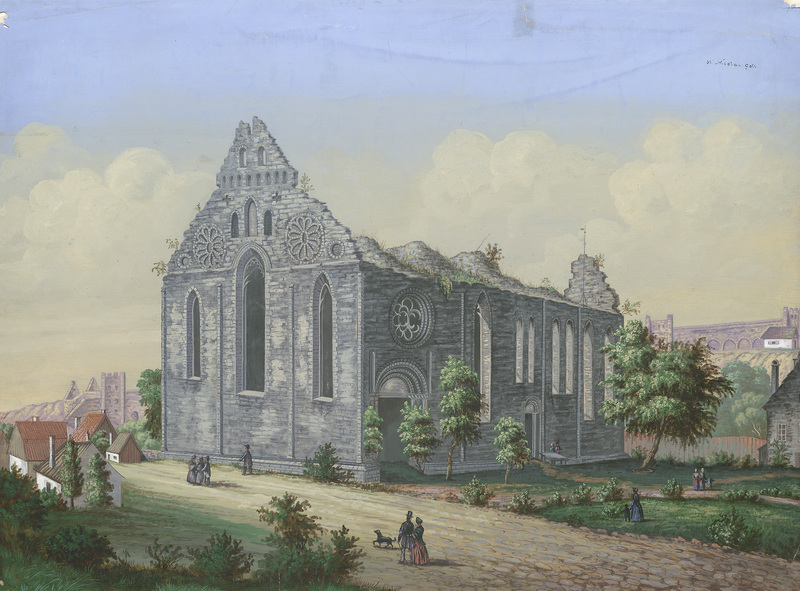 Watercolour from the middle of the 19th century, possibly by Lars Cedergren. The Hanseatic town of Visby is today a UNESCO World Heritage. Sankt Nicolai medeltida kyrkoruin i Visby, från sydväst. I bakgrunden Visby ringmur. Akvarell från 1800-talets mitt, möjligen av Lars Cedergren. Hansestaden Visby är idag ett världsarv på UNESCO:s världsarvslista.